Theresa May has set out her government’s wish list for a post-Brexit deal with Europe, including continued alignment with the European Medicines Agency. The UK prime minister delivered a major speech in a London struggling to deal with heavy snowfall on Friday, setting out ‘five tests’ for a Brexit deal. These included respecting the referendum result, agreeing a lasting deal with Europe, protecting jobs and security, keeping the UK ‘modern, open and outward-looking’ and also strengthening (or at least preserving) the union of the United Kingdom. The Prime Minister included a direct reference in her speech to the future of medicines regulation, saying the UK would be willing to pay to continue membership of the EMA (and other regulatory agencies). She said the UK wanted to explore a deal which would allow it to remain part of the European Medicines Agency, as well as similar bodies for chemicals and aviation safety. She added: “Membership of the European Medicines Agency would mean investment in new innovative medicines continuing in the UK, and it would mean these medicines getting to patients faster as firms prioritise larger markets when they start the lengthy process of seeking authorisations. The speech was warmly welcomed by the UK pharma and biotech sectors, who see continued alignment with the EMA as vital for the future of the British life sciences sector. However also included in Theresa May’s wish list was the ‘red line’ of leaving the single market and the customs union – something which Europe’s leaders have repeatedly made clear is not compatible with continuing regulatory alignment. While the prime minister acknowledged the difficult trade-offs inherent in Brexit for the first time, the policies themselves don’t reflect these. EU leaders, including the European Commission’s chief negotiator Michel Barnier gave muted reactions to the speech on Friday, but it is clear that demands will be seen as ‘cherry picking,’ and these demands will almost certainly be rejected by the EU27 in negotiations in due course. “Theresa May’s speech was serious. It was good that she recognised that the UK faces trade-offs and will lose some access to the single market. “Theresa May is trying to find a Goldilocks trade deal. She wants to make parliament and the British courts sovereign, but also to protect UK-EU trade. So she has advanced a plan that the EU will not accept,” said John Springford, deputy director of CER. The UK pharma and biotech sectors will be well aware that these UK demands are likely to be rejected. But the life sciences sector must make it very clear that the EMA alignment is what is needed in order to meet at least two of those five tests – protecting jobs and keeping the UK an open and connected society. BIA CEO Steve Bates welcomed the prime minister “articulating the practical dynamics of our industry of the future,” including specific references to companies inevitably targeting larger markets as their priority. “Her language reflects the work that the BIA has undertaken on regulatory co-operation since before the referendum, as well as the desire of patient, NHS Confederation and European coalitions. The PM also stated that it would also be good for the EU because the UK regulator assesses more new medicines than any other member state,” said Bates. “Every month, 45 million packs of medicines move from the UK to the EU – and 37 million come the other way. That is why the Prime Minister’s commitment to seek co-operation on medicines regulation would be the best outcome for patients, not just in the UK but across Europe. While Thompson welcomed May’s words, he also stressed that time for negotiations was running out rapidly. This is especially the case for agreeing a deal for a post-Brexit transition period, which would begin in just over a year, 29 March 2019. Also of great importance to the sector is securing access to the best talent, and securing what it calls ‘predictable access’ to funding and collaboration for scientific research. EU membership currently supplies all of these, and the UK government hasn’t found a way to guarantee these could continue post-Brexit. 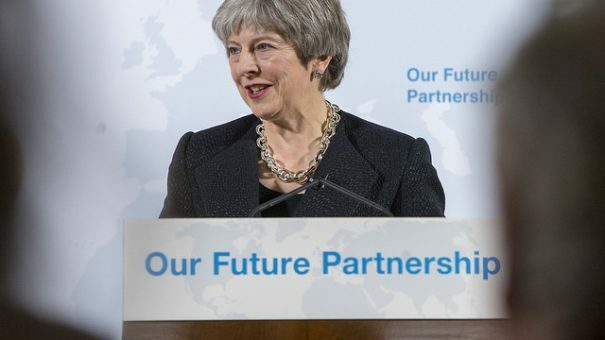 The rapidly diminishing time to arrange a transition period, and the almost certain failure of Theresa May’s contradictory demands means the life sciences sector is having to prepare for the worst case scenario. The one comfort it can take is that the government has publicly espoused the need for regulatory alignment. It can only hope that when push comes to shove, it will have to acquiesce on other demands, and not this one. Last week saw the opposition Labour party significantly shift its position to favour a customs union deal, however this too would fall short of guaranteeing a deal on regulatory alignment.